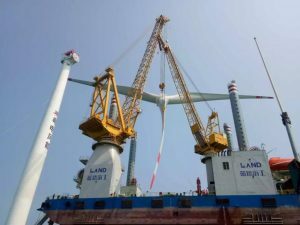 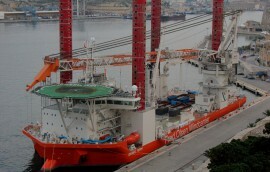 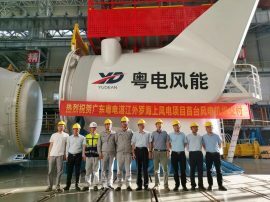 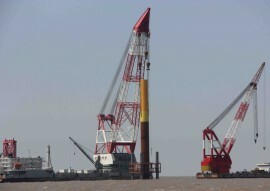 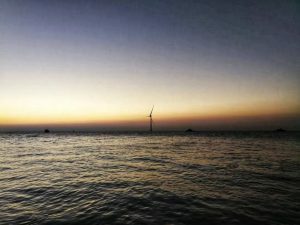 China’s Mingyang Wind Power has delivered the first MySE5.5/7.0MW semi-direct drive wind turbine platform to be installed on a commercial offshore wind project in Guangdong Province. 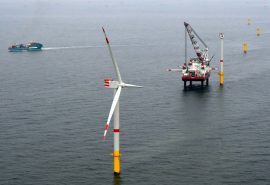 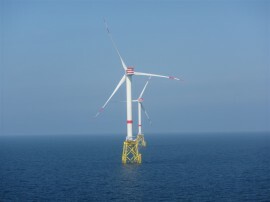 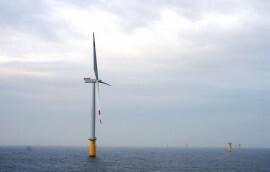 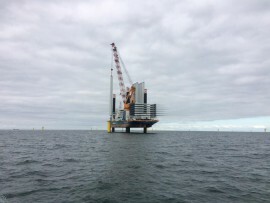 The first of the total of 60 wind turbines has been installed at the Arkona offshore wind farm, located off the coast of Rügen in the German Baltic Sea. 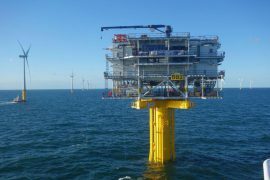 Over the weekend, the third jacket foundation was installed at the Nissum Bredning site in Denmark. 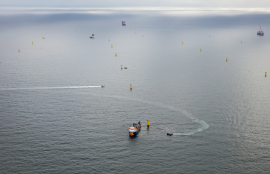 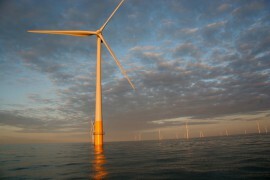 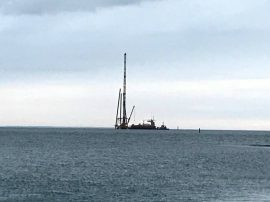 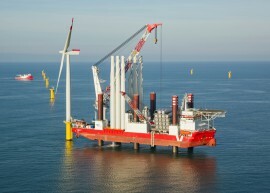 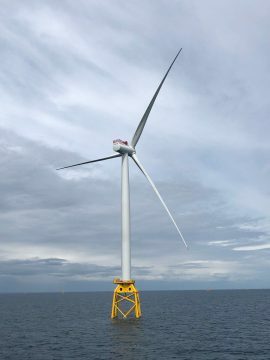 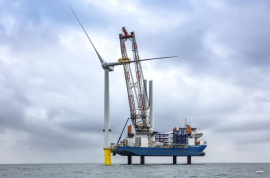 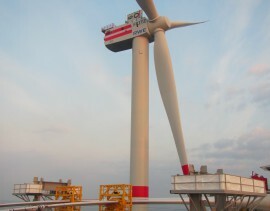 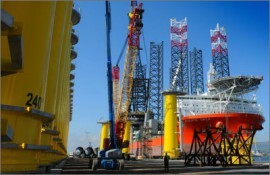 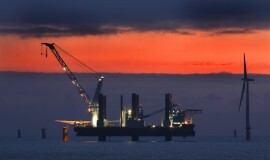 Jan de Nul’s jack-up vessel Vole au Vent has installed the first of five 8.3MW MHI Vestas turbines at the 41.5MW Blyth Offshore Demonstrator project off the coast of Northumberland, UK, EDF RE reports. 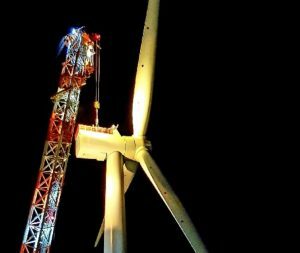 Jan De Nul has installed the first of ten Siemens wind turbines at the 42MW Tahkoluoto wind farm off Pori, Finland. 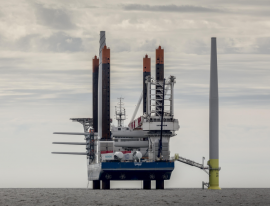 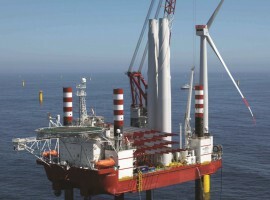 MPI Offshore’s wind turbine installation vessel MPI Enterprise has installed the first Senvion 6.2M-126 turbine at the 332MW Nordsee One offshore wind farm in the German North Sea.